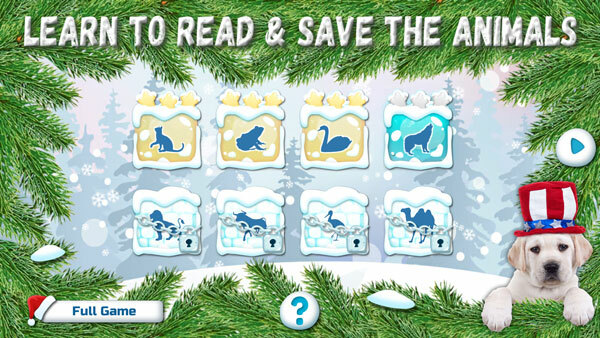 “Learn to Read & Save the Animals” – is an educational Montessori game for kids created for preschoolers from 4 to 7 years old and junior school children of the 1st, 2nd and 3rd grades, who learn how to read English. The evil Snow Queen has frozen the letters of the English alphabet, strewing them all around, while poor animals were taken into the icy captivity. Only your smart kid is able to save and rescue them. In order to do that your child has to learn English letters and combine them into words, which represent the names of the captured animals. John j Great app with basic tech, east for any kids. No ads! guillermo leon Great learning game for my kids... enjoyed it very much!!! Fantastic application Amazing pictures and sounds of animals and no ads! Great for kids. Thanks for developers! vinay atkare My baby loved it n me too happy with the app..good try to give ur baby idea about animals at home... .